Entering his third fulltime season in the Monster Energy NASCAR Cup Series, Dawsonville, Ga. native Chase Elliott is getting an extra dash of goodwill from his home track as the 22-year-old driver seeks his first victory at NASCAR's top level. For an added measure of good luck in 2018, Atlanta Motor Speedway is soliciting good-luck charms of any size, shape or form from race fans across the country. 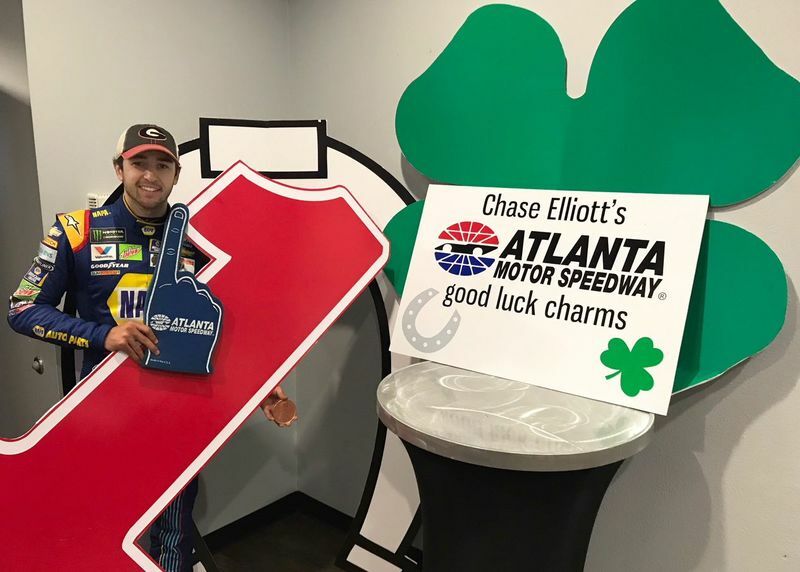 Rabbit's feet, horseshoes, lucky pennies - whatever it takes, fans are encouraged to ship their lucky charms to Atlanta Motor Speedway, who will present them to Elliott at a special event at the track on Feb. 13. "We had a lot of ups and downs and a couple missed opportunities (in 2017)," Elliott said. "But I think we have to take them for what they are and learn from them. I am looking forward to 2018. We have some great things to build on, and I am excited to get back behind the wheel of the No. 9. It's a good fit for me - kind of feels like home." Still, that iconic first career win has yet to materialize. But if AMS and its fan-interactive good-fortune campaign have anything to do with it, it won't be long before the No. 9 Chevrolet makes its way into Victory Lane. A similar promotion by Charlotte Motor Speedway worked for Chase's father, NASCAR Hall-of-Famer Bill Elliott, years ago. After racing in parts of seven seasons in the Winston Cup Series between 1976 and 1982, as well as his first full-time season at NASCAR's top level in 1983, the senior Elliott had a plenty of success in the early years of his career - including eight second-place finishes - but went winless in his first 115 starts. To help push him over the edge and finally into the win column, AMS president Ed Clark, then public relations director at CMS, organized a "lucky charm" campaign for Elliott near the end of the 1983 season when the series stopped at Charlotte in mid-October. "The promotion we came up with for Bill in '83 created an amazing amount of interest and support from fans all over the country," said Clark. "We received package after package full of good-luck charms, and it seemed like everybody was pulling for him to get that first win." And wouldn't you know it? 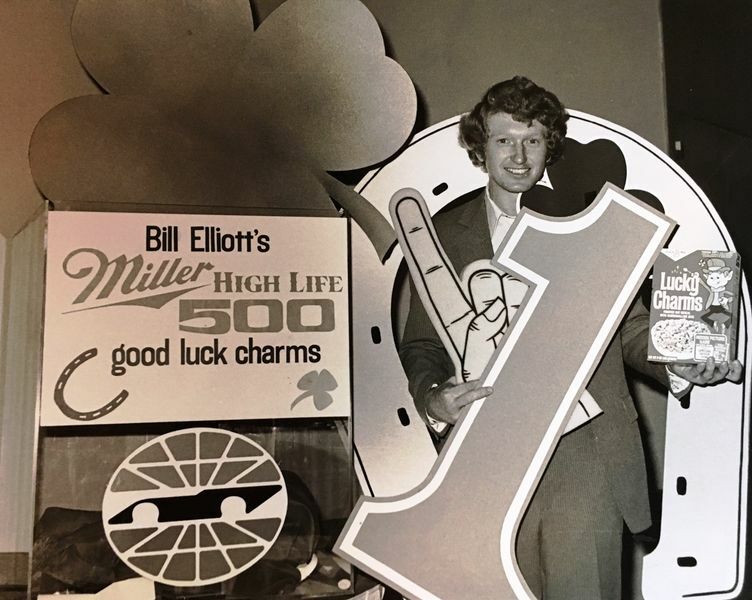 Showered in trinkets and charms from fans across the U.S., Elliott went on to lock up his first career victory three weeks later in the season finale at California's Riverside International Raceway. In recreating the same campaign 35 years later, Atlanta Motor Speedway - and Chase Elliott fans everywhere, no doubt - are hoping that an extra dose of good luck, along with strong racing genes passed down from his dad, can again propel an Elliott into Victory Lane for the first time - and hopefully by the time NASCAR returns to Atlanta, Elliott's home track, for the Folds of Honor QuikTrip 500 during the second week of the 2018 season. "I've been very lucky to have had some great supporters over the past couple of years," said Elliott. "It' has been pretty cool to see that support continue to grow, and hopefully we can continue to grow it." Fans can send their good-luck charms to Elliott by shipping them to AMS at 1500 Highway 19/41, Hampton, GA 30228, with attention to "Good Luck, Chase." Fans can also participate by using the hashtag #GoodLuckChase across the various social media platforms with pictures and messages to Elliott.